The Columbia Boy's Youth Sky Canyon™ Jacket is warm and waterproof. Our exclusive waterproof-breathable material keeps him dry inside and out while 60g of insulation keeps him toasty warm. And with a fully seam-sealed construction he'll stay comfortable even when Mother Nature gets testy. Features attached adjustable storm hood, chin guard, and cozy fleece-lined pockets. 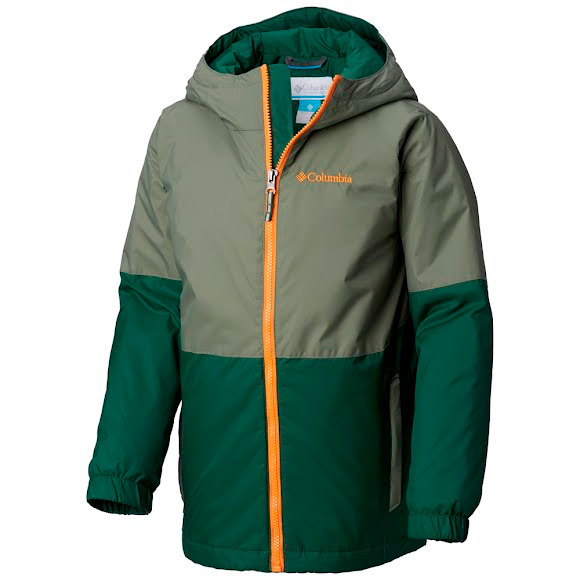 The Columbia Boy&apos;s Youth Sky Canyon™ Jacket is warm and waterproof. Our exclusive waterproof-breathable material keeps him dry inside and out while 60g of insulation keeps him toasty warm. And with a fully seam-sealed construction he&apos;ll stay comfortable even when Mother Nature gets testy. Features attached adjustable storm hood, chin guard, and cozy fleece-lined pockets.